The role of lifestyle-related factors, such as diet, obesity, exercise, and stress on immune function in breast cancer survivors and their impact on quality-of-life and breast cancer outcomes. The impact of type 2 diabetes and other obesity-related comorbidities on quality-of-life and breast cancer prognosis among breast cancer survivors. The mechanistic pathways that potentially mediate the effects of lifestyle and management of obesity-related comorbidities on breast cancer outcomes. Chi-Chen Hong, PhD, joined the staff of Roswell Park Comprehensive Cancer Center (Roswell Park) in 2006 as a research affiliate in the Department of Epidemiology and was appointed Assistant Member in 2008 in the Department of Cancer Prevention and Control within the Division of Cancer Prevention and Population Sciences. Dr. Hong was named Associate Professor of Oncology in 2015. Dr. Hong earned her doctoral degree in Epidemiology from the University of Toronto, Ontario (2004); and subsequently completed postdoctoral training in Epidemiology at Roswell Park. Dr. Hong's research focuses on breast cancer survivorship and prognosis. Specifically, her interests are on the influence of lifestyle, comorbidity, genetics, and immune factors on breast cancer outcomes. Dr. Hong currently leads the Women’s Health After Breast Cancer Study, which is focused on breast cancer survivorship. Women with newly diagnosed breast cancer being treated at Roswell Park are invited to participate in the study prior to their breast cancer treatment and are prospectively followed until three years post diagnosis. The primary aim of the study is to examine how breast cancer diagnosis and treatment impacts quality-of-life among breast cancer survivors and the physiologic pathways underlying these relationships. The study is currently funded by the Breast Cancer Research Foundation (awarded to Drs. Ambrosone and Hong) to examine interrelationships between immune phenotype, circulating vitamin D levels, quality-of-life, and psychosocial factors among breast cancer survivors. Newly diagnosed patients who are interested in the study can telephone Ms. Nancy Barone, the study coordinator, at 716-845-4963, or Dr. Hong at 716-845-7785. 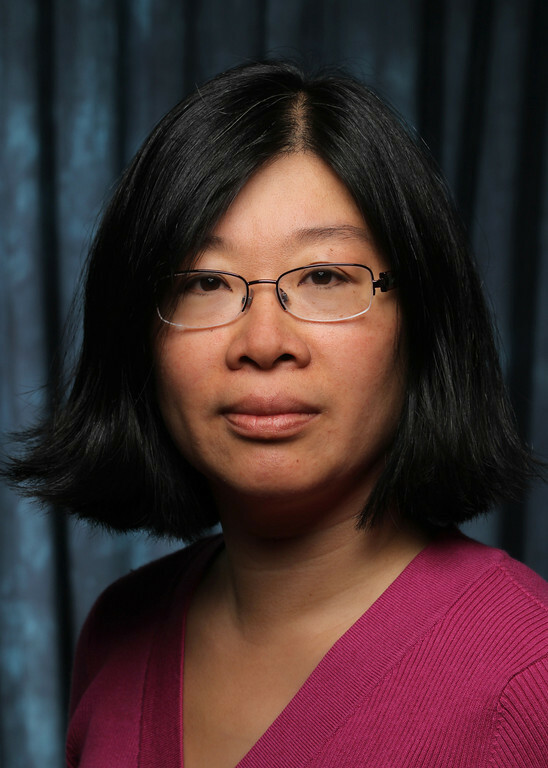 Dr. Hong is also leading a five-year study with colleagues at the Rutgers Cancer Institute of New Jersey and Rutgers University in a study newly funded by the National Cancer Institute, to examine the role of obesity, related comorbidities, and their management on quality-of-life and disease prognosis among 1,700 African American breast cancer survivors. They plan to test the hypothesis that obesity and obesity-related comorbidities are associated with sub-standard breast cancer treatment, poorer quality of life, and poorer breast cancer outcomes in African American women and that poor outcomes are mediated by compromised immunity, obesity-associated inflammation, higher circulating insulin-related growth factors, and low levels of circulating vitamin D. Moreover, they hypothesize that better management of obesity-related comorbidities at diagnosis and during breast cancer treatment among African American breast cancer survivors will be associated with more optimal breast cancer treatment, as well as better outcomes in these women. Dr. Hong is an ad-hoc reviewer for several journals, including Cancer Research, Breast Cancer Research, Breast Cancer Research and Treatment, Cancer Epidemiology, Biomarkers & Prevention, Clinical Cancer Research, and Obesity, and has reviewed research grants for the United States Department of Defense Breast Cancer Research Program, the California Cancer Research Program, and the National Cancer Institute. Ademuyiwa FO, Groman A, Hong CC, Miller A, Kumar S, Levine E, Erwin D, Ambrosone C. Time-trends in survival in young women with breast cancer in a SEER population-based study. Breast Cancer Res Treat. 2013 Feb;138(1):241-8. Epub 2013 Feb 1. PubMed PMID: 23371505. Zirpoli GR, Brennan PM, Hong CC, McCann SE, Ciupak G, Davis W, Unger JM, Thomas Budd G, Hershman DL, Moore HC, Stewart J, Isaacs C, Hobday T, Salim M, Hortobagyi GN, Gralow JR, Albain KS, Ambrosone CB. Supplement use during an intergroup clinical trial for breast cancer (S0221). Breast Cancer Res Treat. 2013 Feb;137(3):903-13. PubMed PMID: 23306462. Hong CC, Yao S, McCann SE, Dolnick RY, Wallace PK, Gong Z, Quan L, Lee KP, Evans SS, Repasky EA, Edge SB, Ambrosone CB. 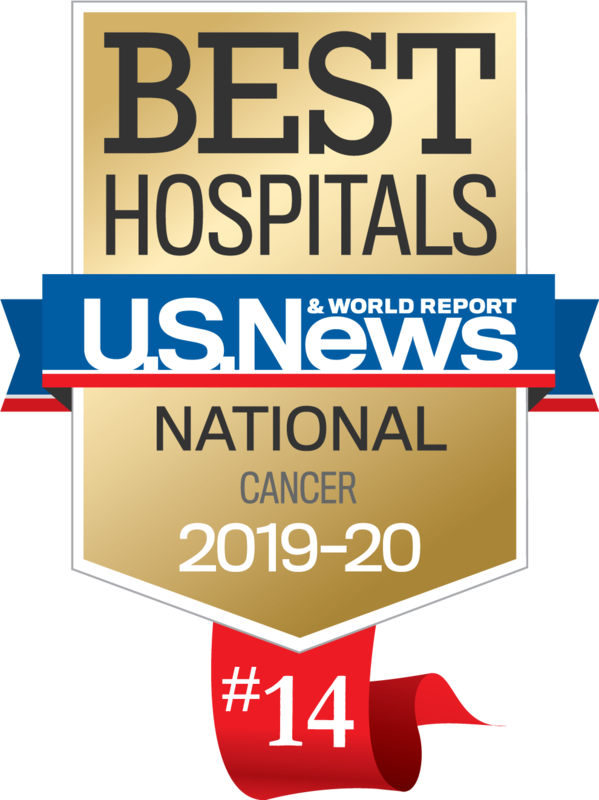 Pretreatment levels of circulating Th1 and Th2 cytokines, and their ratios, are associated with ER-negative and triple negative breast cancers. Breast Cancer Res Treat. 2013 Jun;139(2):477-88. PubMed PMID: 23624818. Hong CC, Shah AB, Jackowiak CM, Kossoff E, Fu H-W, Nimako GK, Bitiokofer D, Edge SB, Ceacareanu AC. Cholesterol drugs improve breast cancer prognosis in women with diabetes mellitus. Advances in Pharmacoepidemiology & Drug Safety. 2013 Jun; 2(2):130. Roberts MR, Hong CC, Edge SB, Yao S, Bshara W, Freudenheim JL, Ambrosone CB. Case-only analyses of the associations between polymorphisms in the metastasis modifying genes BRMS1 and SIPA1 and breast tumor characteristics, lymph node metastasis, and survival. Breast Cancer Research and Treatment. 2013 Jun;139(3):873-85. Epub 2013 Jun 16. PubMed PMID: 23771732. Gong Z, Quan L, Yao S, Zirpoli G, Bandera EV, Roberts M, Coignet J-G, Cabasag C, Sucheston L, Hwang H, Ciupak G, Davis W, Pawlish K, Jandorf L, Bovbjerg D, Ambrosone CB, Hong CC. Innate Immunity Pathways and Breast Cancer Risk in African American and European-American Women in the Women’s Circle of Health Study (WCHS). PLoS One 2013 Aug 21;8(8):e72619. PubMed PMID: 23991131. Kokolus KM, Capitano M, Lee C-T, Eng JW-L, Waight JD, Hylander BL, Buitrago S, Hong CC, Gordon CJ, Abrams SI, Repasky E. Baseline Tumor Growth and Immune Control in Laboratory Mice are Significantly Influenced by Sub-thermoneutral Housing Temperature. Proc Natl Acad Sci U S A 110(50):20176-81., 2013. PubMed PMID: 24248371. Bandera EV, Chandran U, Zirpoli G, Gong Z, McCann SE, Ciupak G, Pawlish K, Hong CC, Ambrosone CB. Body fatness and breast cancer risk in women of African ancestry. BMC Cancer 2013 Oct 14;13:475. PubMed PMID: 24118876. Yao S, Hong CC, McCann SE, Zirpoli G, Quan L, Gong Z, Johnson CS, Trump DL, Ambrosone CB. Combined effects of circulating levels of 25-hydroxyvitamin d and Th1 and th2 cytokines on breast cancer estrogen receptor status. Cancers (Basel). 2014 Jan 27;6(1):211-25. PubMed PMID: 24473087. Ambrosone CB, Zirpoli G, Ruszczyk M, Shankar J, Hong CC, Roberts M, Yao S, McCann SE, Ciupak G, Hwang H, Khoury T, Jandorf L, Bovbjerg DH, Pawlish K, Bandera EV. Parity and breast feeding among African-American Women: Differential Effects on Breast Cancer Risk by Estrogen and Progesterone Status in the Women’s Circle of Health Study. Cancer Causes Control. 2014 Feb;25(2):259-65. Epub 2013 Nov 19. PubMed PMID: 24249438. Gong Z, Ambrosone CB, McCann SE, Zirpoli G, Chandran U, Hong CC, Bovbjerg DH, Jandorf L, Ciupak G, Pawlish K, Lu Q, Hwang H, Khoury T, Wiam B, Bandera EV. Associations of dietary folate, Vitamins B6 and B12 and methionine intake with risk of breast cancer among African American and European American women. Int J Cancer. 2014 Mar 15;134(6):1422-35. Epub 2013 Sep 30. PubMed PMID: 23996837. Quan L, Gong Z, Yao S, Bandera EV, Zirpoli G, Hwang H, Roberts M, Ciupak G, Davis W, Sucheston L, Pawlish K, Bovbjerg D, Jandorf L, Cabasag C, Coignet J-G, Ambrosone CB, Hong CC. Cytokine and cytokine receptor genes of adaptive immune response are differentially associated with breast cancer risk in women of African Ancestry and European Ancestry. Int J Cancer Mar 15; 134:1408-21, 2014. PubMed PMID: 23996684. Ambrosone CB, Zirpoli GR, Bovbjerg DH, Shankar J, Hong CC, McCann SE, Ruszczyk M, Khoury T, Yao S, Ciupak GL, Jandorf L, Pawlish KS, Bandera EV. Associations between estrogen receptor-negative breast cancer and timing of reproductive events differ between African American and European American women. Cancer Epidemiol Biomarkers Prev. 2014 Jun;23(6):1115-20. Epub 2014 Apr 9. PubMed PMID: 24718280; PubMed. Palmer JR, Viscidi E, Troester MA, Hong CC, Schedin P, Bethea TN, Bandera EV, Borges V, McKinnon C, Haiman CA, Lunetta K, Kolonel LN, Rosenberg L, Olshan AF, Ambrosone CB. Parity, Lactation, and Breast Cancer Subtypes in African American Women: Results from the AMBER Consortium. J Natl Cancer Inst. 2014 Sep 15;106(10). Print 2014 Oct. PubMed PMID: 25224496. Chandran U, McCann SE, Zirpoli G, Ciupak G, Gong Z, Pawlish K, Lin Y, Hong CC, Ambrosone CB, Bandera EV. Consumption of foods and drinks that promote weight gain and breast cancer risk in African American and Caucasian Women. Nutrition and Cancer, Accepted. Quan L, Hong CC, Zirpoli G, Roberts MR, Khoury T, Sucheston-Campbell LE, Bovbjerg DH, Jandorf L, Pawlish K, Ciupak G, Davis W, Bandera EV, Ambrosone CB, Yao S. Variants of estrogen-related genes and breast cancer risk in European and African American women. Endocr Relat Cancer. 2014 Dec;21(6):853-64. Epub 2014 Sep 16. PubMed PMID: 25228414. Hong CC, Pajak A, Teitelbaum SL, Vangeepuram N, Galvez M, Pinney SM, Windham G, Kushi LH, Biro FM, Wolff MS; The Breast Cancer Environment Research Program. Younger pubertal age is associated with allergy and other atopic conditions in girls. Pediatr Allergy Immunol. 2014 Nov 11. doi: 10.1111/pai.12307. [Epub ahead of print] PubMed PMID: 25387609.